September 20 is a day circled on most calendars around here. On September 20, the Palestinian Authority will officially request the United Nations for recognition of Statehood. As of this first week in September, no one really knows what will come of this bid for statehood. Celebration that non-violence wins out in the end? Suppression by the military powers of the world? Frustration that gives way once again to extremism? Currently, two-thirds of the world's nations are on record in support of Palestinian statehood. Yet after 63 years of the Israeli state, the word from Tel Aviv is No, and as for the USA, the world's public advocate for democratic values and non-violence. . . . well, we'll just have to wait until September 20. It seems like we've been down this road before. Only it was September 16. And the year was 1975. 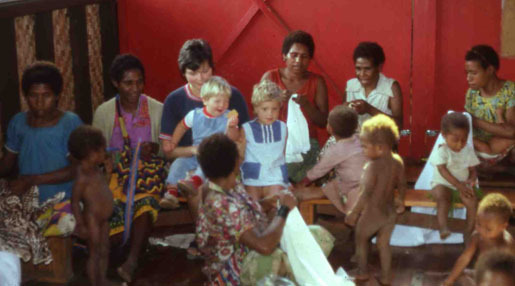 Then it was the nation of Papua New Guinea declaring Independence and seeking recognition from the UN and the world community of nations. Only it was 1975. September 16, 1975. 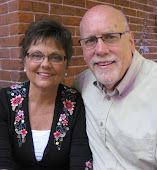 It's hard to believe that it was 36 years ago when Gloria & I were just ready to begin our ministries with a six-year position in the remote highlands of Papua New Guinea. It was just about this time of September in 1975, with tickets in hand, when the phone call came from our global mission sending agency informing us that our departure date had been postponed. "We have some concerns," they said. "It's too unpredictable." This independence thing. This statehood thing. Mind you we had moved out of our apartment, having sold or given away most of our belongings, and were living out of a suitcase with Gloria's family in Nebraska, where the tall corn grows. "Just another month," they said. "After independence--September 16." We made it just fine, Gloria, I, and our two year old daughter Angela. 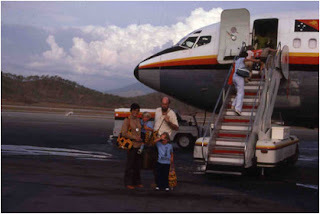 We arrived in Papua New Guinea the first week of October, 1975--after independence--after September 16. The stories we heard were fascinating. Some Australian government workers, NGOs, and missionaries had deserted the country, convinced that the door was now open for Chinese expansion, leap-frogging South-east Asian islands to invade and conquer the Australian continent. Others, missionaries included, slept with suitcases packed under their beds and ready to go at a moments notice. But most spoke wisely, "It's not about us! Shouldn't we be supporting the local people in this historic day?" 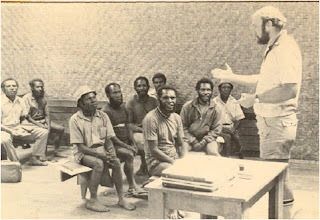 All that was soon forgotten as we watched the lives of Papua New Guineans unfold in amazing ways now in control of their own destinies. And we were priviledged to accompany them. 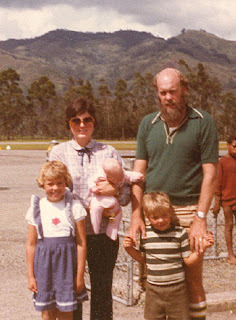 Six years later as we stood at the airfield to return to the states, among our biggest regrets was not being in PNG on that historic September 16. Now we await September 20, 2011 -- an equally historic day. and hundreds of other diplomatic initiatives that always hit a dead end. Why so many delays? Why the wait? Why is it that the powerful of the world are so reluctant to share power? because the fiuture of the two sides is ultimately one. Ultimately it is not ours to decide whether or not the Palestinian Authority should apply for statehood on September 20. Our role is to be here in accompaniment and to offer a little interpretation. Click here to read a selection of articles on the CMEP website. Click here to see links to a few stories in the local media this week. Why is it that so many Americans view the Palestinian situation so differently than do much of the rest of the world? Who knows? 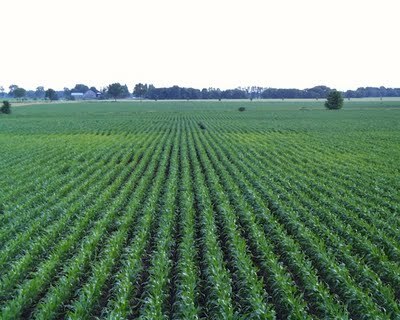 But perhaps it has something to do with cornfields (that's where the presidential candidates are hanging out these days.) Cornfields? Cornfields? Really? When driving on Interstate 80 across Iowa or Nebraska, all those rows of corn merge together so that it's easy to forget they are individual stalks spaced 30 inches apart. How often is it that people approach the situation here with a bit of historical amnesia, forgetting the many life-shaping events that have taken place over the last century or more, such as all those unfulfilled promises of statehood, or all those events where bit by bit the land has been stripped away so that the possibility of a viable Palestinian state is slipping away. 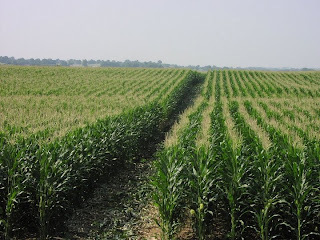 The individual stalks of corn are lost, blurred together, and only remotely resembling the reality that exists when one stops the car and strolls through the rows. Palestinian farming is quite different. A Sunday afternoon drive north through the West Bank to Nablus or Jenin winds through a picturesque landscape of terraced hillsides following the natural contour of the land. There each individual olive tree stands out with its own story to be told. Just as each tree has witnessed a succession of generations with their joys and sorrows, accomplishments and tragedies, so the people of the land are not so prone to forget. It has been suggested that what Palestinians have lacked is their own narrative. Yes there are history books and political and apologetic tracts. But a popular narrative has been missing, at least in the West. The Kite Runner has opened eyes to the history and culture of Afghanistan. Leon Uris' novel Exodus and the 1960 award-winning Paul-Newman-starring film did that for our generation about Israel. Yes, they are both fiction, but fiction has a way of taking a complicated issue and making it manageable. It also has the capacity of drawing the reader into empathy with the other, helping one to listen to the other side of the story. If there's one thing that's been missing in the western media, it's been empathy. We've both recently read the novel Mornings in Jenin and recommend it highly. It tells the story of four generations of a refugee family from Jenin-- the largest Refugee Camp in Palestine -- beginning in 1941 in the village of Ein Hod, (now home to an Israeli artists colony) near Haifa. The story is told through the eyes of the family patriarch's granddaughter Amal-- spelled in Arabic with a double "A" meaning "the strongest hope." Besides helping to understand the conflict, Mornings in Jenin opens a window to Palestinian culture and to Islam as it is commonly practiced. 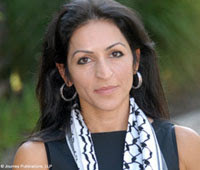 Susan Abulhawa, the author, was born into a refugee family in Jenin and now makes her home in Pennsylvania. Click here to read more about the book. Check out Amazon and Barnes Noble online for info. In Mornings in Jenin each olive tree tells the story it has witnessed through the generations and refuses to forget. 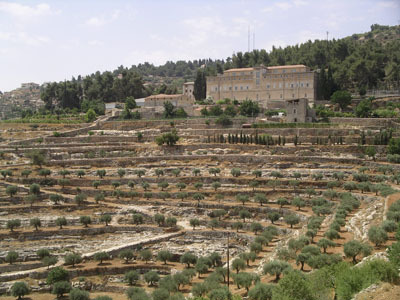 Each olive tree will be there to witness what develops on September 20.